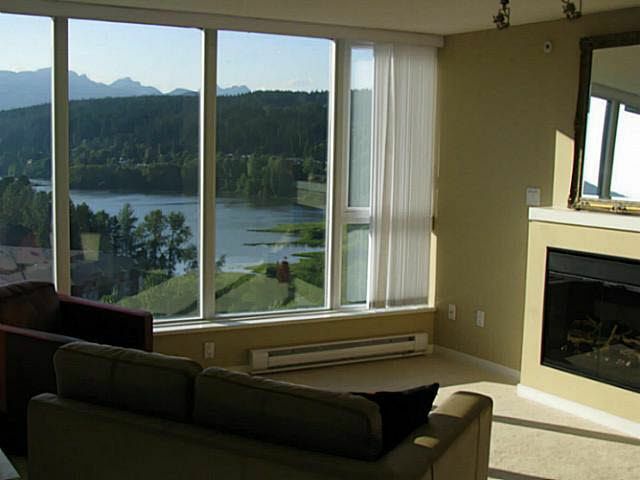 Amazing Burrard Inlet and mountain views! BEST high rise location in Port Moody. Corner unit, one of the biggest floor plans. Gorgeous granite counters in kitchen and ensuite. Stainless steel appliances. Bonus 2 parking stalls. Enjoy high rise living at its finest. Walking distance to all amenities. Enjoy resort living with the 15,000 sq ft Canoe Club that has pool, hot tub, steam room, tennis court, gym, etc. Don't miss this one.